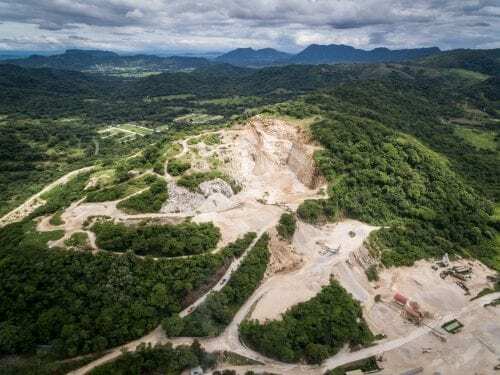 The quarry can be seen from any point in Nicoya. It’s a giant, deforested mountain that splits into fragments and is losing its green color. Pedregal has been mining limestone for 27 years with a single environmental impact study (EIA) from 1992. The National Environmental Technical Secretariat has never requested an update despite the fact that requirements today for approving it would be very different.